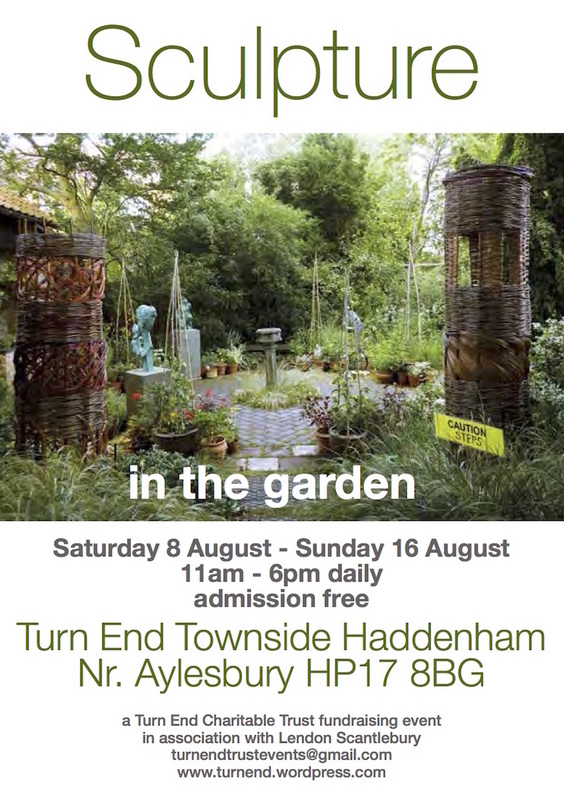 Turn End once again provide an intimate and beautiful setting to over 80 pieces of sculpture from 15 different artists. Blending nature with art, visitors will be able to explore and buy from an enticing selection of traditional and contemporary artworks from local, national and international artists. Hand-picked by Lendon Scantlebury and co-curated by Jackie Hunt, Turn End’s gardener (who was originally a museum curator & archaeologist), Lendon will be demonstrating how sculpture can highlight aspects of any garden, large or small, by bringing beautiful and varied sculptures in many different media including stone, glass, wood and steel. From traditional statuary to pieces inspired by plants and animals, the sculptures will complement any size and style of garden and all budgets. All sculptures will be available for sale. Tea and cakes will be available throughout the exhibition.